There are many wonderful regions on Maui. The best regions on Maui for condo rentals are in Kaanapali, Kahana, Kihei, Maalaea Bay, Makena, Napili Bay and Wailea. Please choose a Maui region to search for a condo rental. Once you choose a region, the available condo rental listings will be displayed for you. To further learn more about each condo rental on Maui, simply click to see more. Located in West Lahaina, this is a very, very, special place that is highly recommended to people of all ages seeking a restful and relaxing vacation. 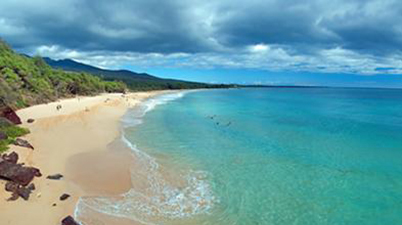 Kaanapali has 3 miles of beaches with clear waters making it an excellent beach vacation destination. Kaanapali is located to the far west of the island of Maui. There is great snorkeling at Black Rock with is located at the far South end of the beach. Kahana is located on the beautiful West Shore of Maui, Hawaii, just north of Ka’anapali, which is part of Lahaina. Kahana is is the perfect spt for families. There are beautiful sunsets, sandy beaches and all island activities are available or nearby. The waves are generally calmer due to an offshore reef that calms the waters. Kahana can be quieter than other beach areas. Sunny Kihei is between 20 and 30-or-so minutes from Kahului Airport, and boasts sandy beaches and parks, from where you can see the islands of Kaho’olawe, Lana’i, and Molokini. 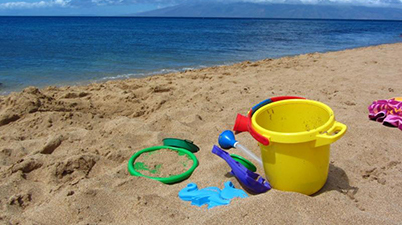 Whether you want the ideal beach for snorkeling, taking a walk, having a picnic, or learning to surf, Kihei has a beach for you. Also enjoy beautiful sunsets in “A Tropical Vacation in Paradise”. Kona is located on the West side of the island of Hawaii. 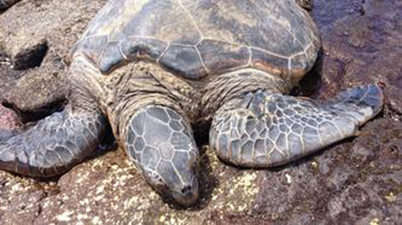 Kona has shops, restaurants, nightlife and a fabulous walking tour. 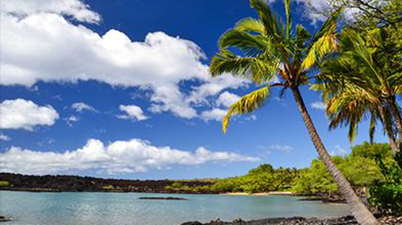 Kona has calm waters that are great for snorkeling, diving, sailing and sea life spotting. If you like deep sea fishing, then Kona is for you. In August is the International Billfish Tournament. Kona is home to Kona coffee, so sample some here! The beautiful area of Lahaina attracts boat lovers from around the world. 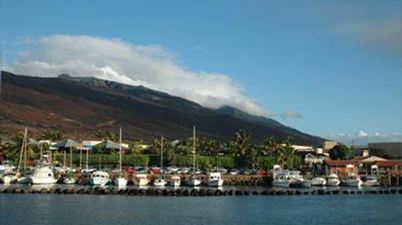 Home of the Lahaina harbor, this region of Maui is your gateway to the sea. Head to Lahaina during Halloween in late October to see why Lahaina is nicknamed the “Mardi Gras of the Pacific”. In Lahaina, you have your choice of top restaurants, an array of water tours such as sailing, whale watching, or snorkeling, and long, golden sand beaches. 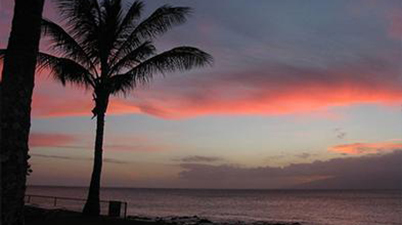 Maalaea Bay is located in South Maui, fifteen minutes from the Kahului airport. This destination is a fantastic place for snorkeling, whale watching, fishing and dinner cruises. A seven-mile long white sand beach offers an incredible backdrop for relaxing while enjoying the sunsets. Award-winning restaurants are just a short walk from the harbor and Maalaea Village is home to the Maui Ocean Center, a world class aquarium. About 45 minutes from the Kahului Airport lies the warm and sunny, upscale community of MAKENA (Ma-kenna). For those who prefer a quiet holiday in tune with the nature, this is the perfect place for you! Makena Beach, also called Oneloa Beach or Big Beach, is one of the most beautiful beaches on Maui. Great for scuba diving, snorkeling, and kayaking. Napili is perfectly situated on picturesque Napili Bay where Maui's Western coast offers breathtaking views of Molokai and Lanai islands. Enjoy beautiful lush gardens, swaying palm trees, sparkling white beaches, crystal clear water, and wonderful sunsets for slow romantic evening walks. A perfect place for swimming, snorkeling, sunning and strolling the white sandy beach of Napili Bay. Wailea is located on the South side of Maui Surrounding the three championship golf courses. Enjoy tennis courts, high end boutiques, and art galleries. With superb year-round weather, five of the best swimming beaches with snorkeling spots at each beach are featured in this area. Shops, restaurants, tennis, and golf are snuggled into Maui's greenery throughout the zone. There are endless ways to pamper and indulge yourself.